Old Cheetah, We’re Not Broken Yet – RELEASED! “We’re Not Broken Yet”, the latest song from Hawksley’s upcoming record Old Cheetah (June 2, Six Shooter Records) as been released! It’s available NOW on iTunes! 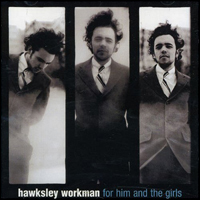 http://hawksleyworkman.com/wp-content/uploads/2018/02/logo_menu-hawksley-menu.png 0 0 Admin http://hawksleyworkman.com/wp-content/uploads/2018/02/logo_menu-hawksley-menu.png Admin2015-05-19 17:16:212015-05-19 17:16:21Old Cheetah, We're Not Broken Yet - RELEASED! Isadora Records has just announced a new album! 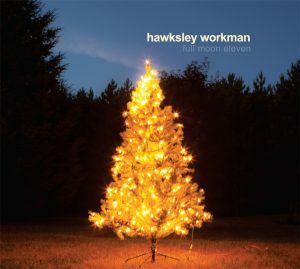 FULL MOON ELEVEN is a reimagining of Hawksley’s 2001 original Christmas album ALMOST A FULL MOON. FULL MOON ELEVEN will be released on Tuesday November 8, 2011, the album (with original 2001 recording included) via www.hawksleyworkman.com and digitally on iTunes. 10 years ago i left toronto for paris. i wandered the city bathed in feelings of loneliness and wonder. i hired a piano for my little apartment at the corner of rue de lappe and rue de charone, and during a week long fast, i wrote some songs. missing home, i wanted to write something to celebrate family, cooking, singing, andsimpleness. i also wanted to make something to acknowledge my grandma hawksley’s love of the christmas season, and the excitement and ritual she brought to that time for my brother and i. as it turned out, within about a week, i had a record’s worth of songs. i was impatient to record this new music, but was a few days away from the band arriving from canada to start a tour through europe. luckily, my label at the time had a recording studio in the north of paris. they cleared a few days for me and i went to work. determined to have the whole thing done before i met the band at de gaulle, i got up early and made the long morning walk up rue magenta to the studio district north of the pigalle for the next 3 days. looking back on those days now, i realize that in many ways i was living in some of my last moments of innocence. i was changing, but so was the world as i knew it. in the next ten years an age of fear and darkness would be ushered in. those songs were the last whiffs of a different time… a time when the flask of whiskey in my coat pocket would raise only a wink and a grin from airport security… a time that wasn’t so held by heaviness and government sponsored fear. i thought it was time to check back in with those songs… maybe filter them through my current voice. so, again… i went into the studio for 3 days, and re-imagined those songs for the voice of the person i am 10 years later.